DIY overhaul 240 engines in Portland OR area? I am looking for advice regarding engine maintenance and education. I am interested if anybody on the board do their own overhaul or rebuild on their 240 engines near Portland OR. I am also interested if anybody knows the rough cost to have a shop overhaul an engine or best alternatives to a full overhaul. 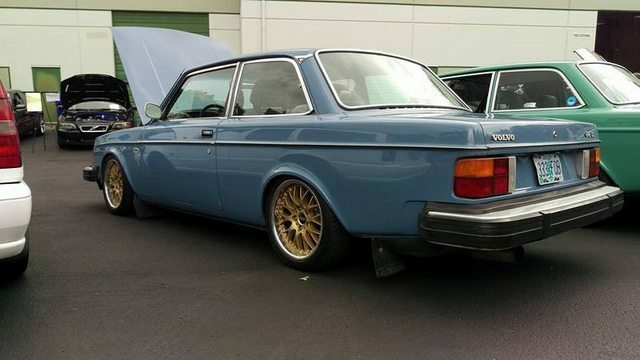 I am as much interested in learning how do many of the overhauling myself to further my own understanding of my Volvo. I have not found any online courses or books which give the kind of detail that I would need to accomplish this task. I'm not sure if there are people out there that overhaul in there garage but I figured i'd ask and maybe somebody out there would even go over engine rebuilding if I supplied pizza beer etc. John V, outside agitator is our resident engine expert give him a call after you charge up your cell phone. You just missed out on 2-days of engine work, food, and beer with me and Harlard superstar. Sounds like I missed a great opportunity. There will be more, I’m sure. The B230F in my '87 never got much love in its life. My stupid ex-wife even ran it with the oil pressure light occasionally coming on (low oil level, my bad). That motor has 340,000 miles with a mostly not-working odometer. Actual mileage is probably much closer to 400K miles. Compression test is perfect on all four cylinders, camshaft valve lash was within spec on all 8 valves. Same story with all of my B230F's. They just don't need rebuilt, unless something is wildly wrong.... and if something is wildly wrong, it just makes more sense to get another motor. On the other hand, swapping a camshaft will get you a little more fun out of the motor, and it's a way to bond with the engine if you've got to scratch the itch. I usually just go to pick in pull and pick and then pull a good junkyard motor and put that in and run it. Why rebuild a good runner if you can find a good runner. If you can't find good runner then yeah go rebuild a blown motor.. I don't do that, when they blow I toss em. Rebuild = fixing the leaks. It's a little bit more than a couple bottles of beer and singing kumbaya to rebuild an engine. THat being said I do have a rebuilt race motor done by Brian at M&B machine shop over by the old RSI shop or the PIR race track. But I put 2.5L steel stroker crank from a boat motor in it and H beam rods, longer then stock and custom matching 16v wisco turbo pistions with the valve reliefs cut out. He put the short block together. 93 squirter junkyard NA block I started with. Sunnen diamond hone plateau brush seats the rings first pull! Where you gonna backyard balance your race motor. This equipment isn't cheap.. Don't forget to bore it without the torque plate! Borrow one from Sweden.. Ha. It didn't cost too much seems like for the machine shop work, the parts though..
Last edited by sbabbs; 01-06-2019 at 01:43 AM..